Rosy Outlook: My Favorite Sunglasses! Happy Monday friends! Hope you had a great weekend. My in-laws were in town visiting so we had a blast showing them around Boston! Friday while I was at work Steven took them to Quincy Market/Faneuil Hall and then that night we went out to dinner in the North End at our favorite Italian spot, Antico Forno. Saturday, they explored Cambridge then I met them at the Public Garden/Beacon street for the afternoon. The weather was seriously GORGEOUS but I have to say, on Sunday, it was actually pretty cold! It's definitely feeling like full-blown fall here. Today I thought it would be fun to share some of my favorite sunglasses in my collection especially because a few are marked down right now! I pretty much have the same go-to pairs that I always wear. They're in all different price ranges and are all great quality. My newest pair in the photograph above are also currently on sale for less than $60! I love the ones you are wearing! Happy Monday! No wonder you love those sunglasses...so cute! And I adore that plaid top...so Fall Fabulous! I love the glasses you are wearing. Suits you well! You KNOW I'm a sunglass fanatic, and these are seriously SO cute for fall!! 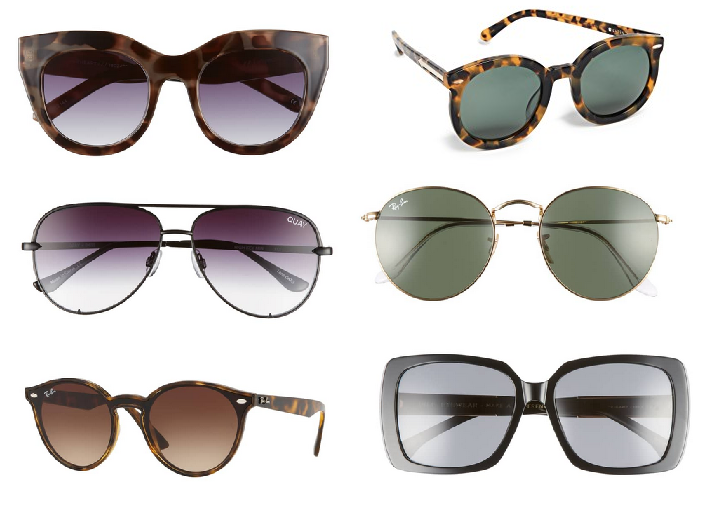 Love all of these sunglasses! Your top is the cutest too! Ok I am legit obsessed with those sunnies you have on! SO cute! And where did you get that top?! I need it in my life, so perfect! Thanks girly! I went ahead and added the link above! It's from Nordstrom and I'm OBSESSED! So many cute sunnies! Dying over that plaid top too! Cutest sunnies and plaid top! Love these sunnies too! Super cute! Loving the sunglasses on you! And what a steal! They look like Karen Walker! Those shades are the cutest!! What a deal too! The frame looks so perfect on your face dear. Love the leopard detail too.